Please select the Kinda Quiet campsite you wish to reserve for the weekend from the map below. The reservation includes (1) campsite and (1) weekend pass. Campsites are at least 25ft wide and can accommodate multiple campers. 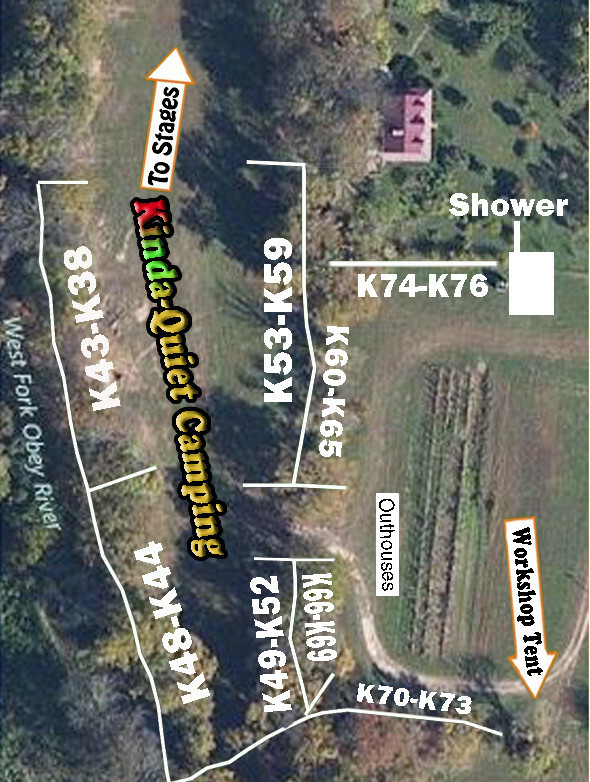 Each ADDITIONAL camper must also purchase a weekend pass or campsite pass for each day they are camping.